WASHINGTON (CNN) - A report from the Department of Veterans' Affairs inspector general found that the Washington DC VA Medical Center has for years "suffered a series of systemic and programmatic failures to consistently deliver timely and quality patient care," and heightening the potential for waste, fraud and abuse of government resources. The report released Wednesday found that the main health care facility for veterans in Washington lacked consistently clean areas for medical supplies, had staffing issues across multiple departments and that approximately $92 million in supplies and equipment were purchased over a two-year period without "proper controls to ensure the purchases were necessary and cost-effective." 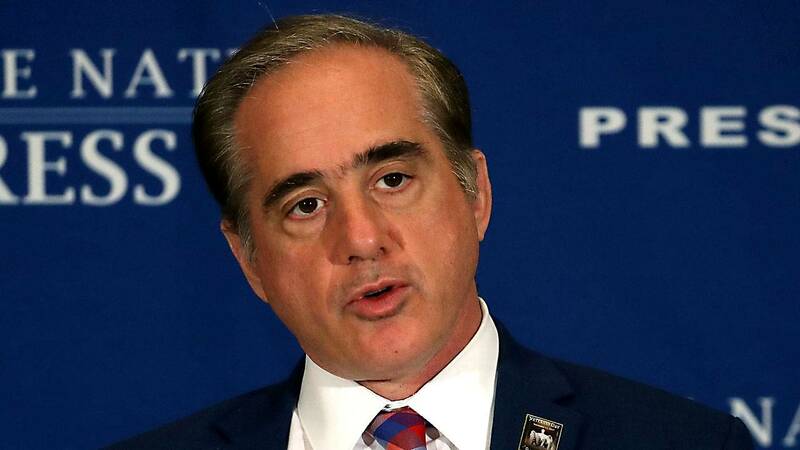 According to the report, VA Secretary David Shulkin said he "does not recall senior leaders' bringing issues at the medical system related to supplies, instruments and equipment to his attention" while he was the undersecretary of health. The VA has been rocked by the IG report and Shulkin's belief that Trump administration political appointees, including a top aide, have been working toward his ouster. The report did not find any patient harm, but VA Inspector General Michael Missal said that was "largely due to the efforts of many dedicated health care providers that overcame service deficiencies to ensure patients received needed care." In the report detailing the troubling conditions at the VA hospital, Missal faults "failed leadership at multiple levels within VA that put patients and assets ... at unnecessary risk." The report follows an interim report released in April 2017, which Missal took the rare step of issuing because he had a "lack of confidence" in the Veterans Health Administration to properly deal with the issues, some of which they had known about for some time. The report made 40 recommendations, all of which the Department of Veterans Affairs said it accepts. "On behalf of the senior leaders at DC VAMC, Veterans Integrated Service Network (VISN) 5 and the Veterans Health Administration (VHA), we concur with OIG's findings and recommendations and provide the attached action plans," the Office of the Undersecretary for Health said in response to the report. The investigation into the Washington DC VA Medical Center, which provides care to almost 100,000 veterans and employs more than 2,000 people, began in March 2017 after a confidential complaint, according to the inspector general's report.